Washington, D.C., September 30, 2016 – On the 10th anniversary of the Sandy Trowbridge Award, the National Association of Manufacturers (NAM) has awarded Dudek & Bock Spring Manufacturing Company of Chicago, Ill., with the honor. 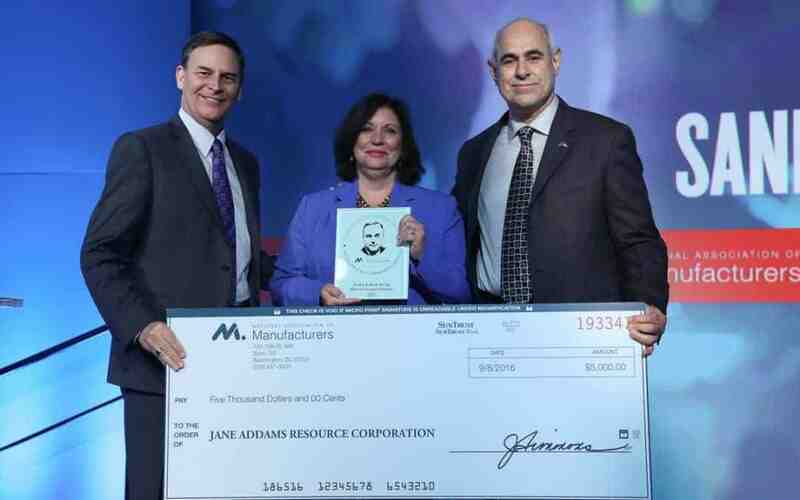 The Trowbridge Award honors an NAM member company that demonstrates exemplary leadership in serving its community or state and is a leading example of the nation’s manufacturers and businesses. Dudek & Bock began as a family business in Chicago in 1946 and is celebrating its 70th anniversary this year. It is a world-class manufacturer of springs, wire forms and light metal stampings and is recognized for its broad community engagement. Dudek & Bock has a dedication for manufacturing training and education programs to encourage the next generation of manufacturers. Partnering with local high schools and community colleges, creating a middle school– and high school–aged robotics program with a local library and offering hands-on site visits and community career counseling, Dudek & Bock is shaping its community for the better.